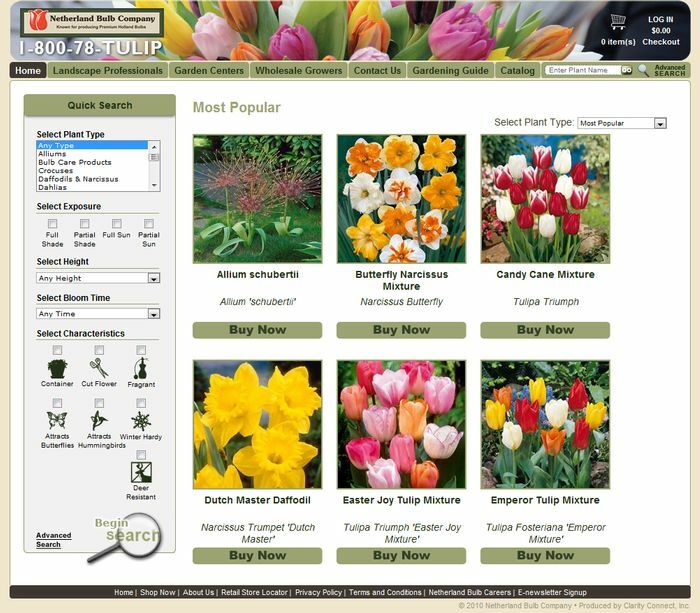 Website visitors can quickly find the plant they looking for with this easy to use plant search. 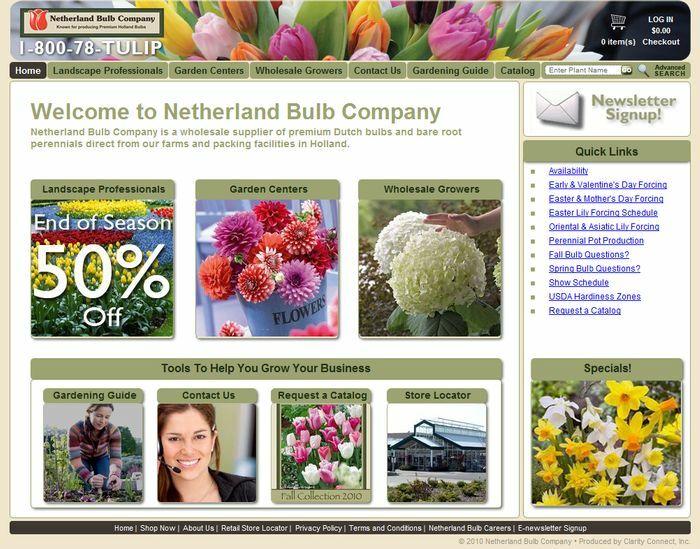 Netherland Bulb Company is a wholesale supplier of premium Dutch bulbs and bare root perennials grown and shipped directly from their farms and packing facilities in Holland. 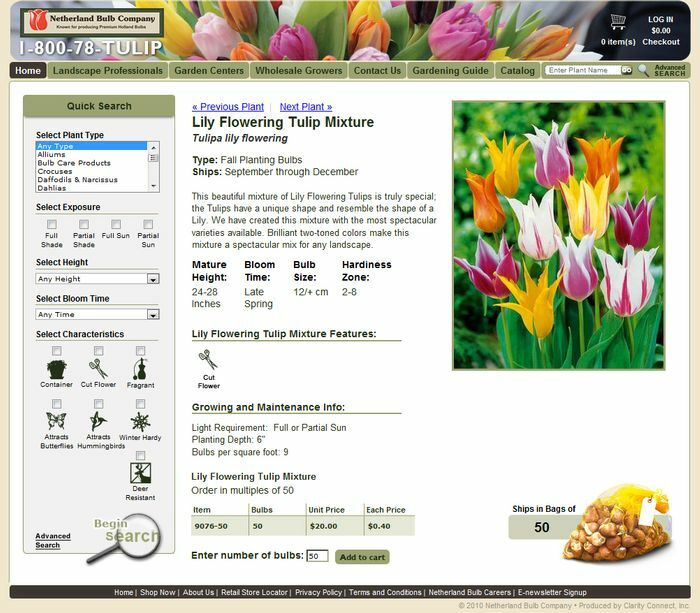 Their customer service center and distribution facilities are in Eaton, PA.